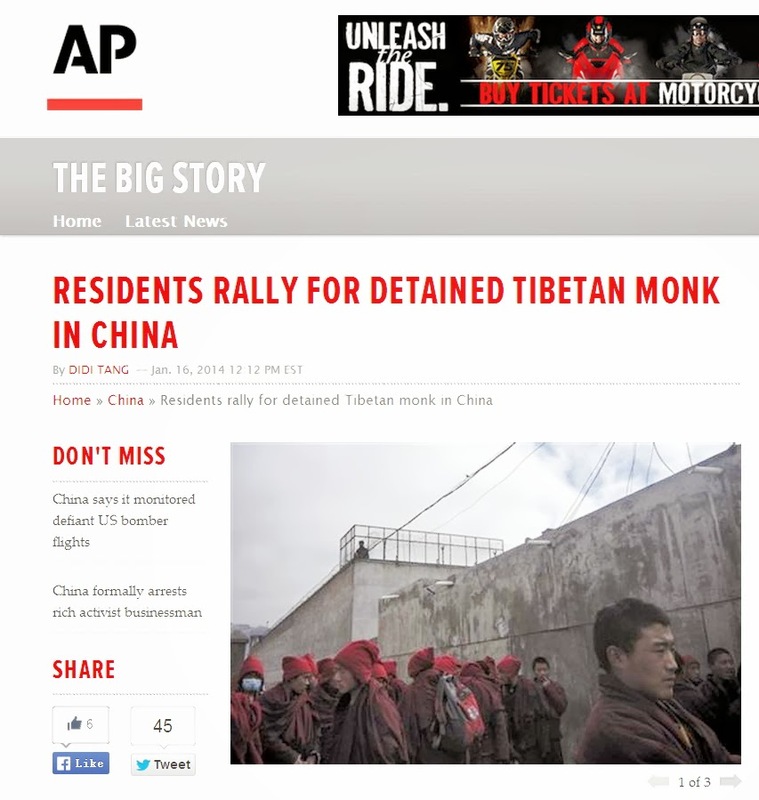 BEIJING (AP) — Hundreds of residents and monks in western China's Qinghai province gathered in front of a jail this week in a rare rally to demand the release of a highly respected Tibetan monk, a Tibetan writer and a local person said Thursday. 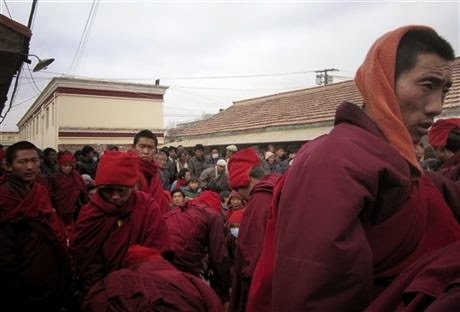 The local person, who spoke on condition of anonymity for fear of retribution from government authorities, said about 60 to 70 monks and about 400 to 500 laypeople gathered in front of the county jail in the Tibetan town of Nangqian on Wednesday to petition for the release of Karma Tsewang and several of his supporters. Authorities have not given a reason for Karma Tsewang's detention on Dec. 6. The popular monk from the Japa Monastery, located outside of Nangqian, is known for his work on disaster relief, environmental protection and teaching youth the Tibetan language. Despite the rally taking place in Nangqian, he is believed to be locked up in the neighboring Tibetan prefecture of Chamdo. 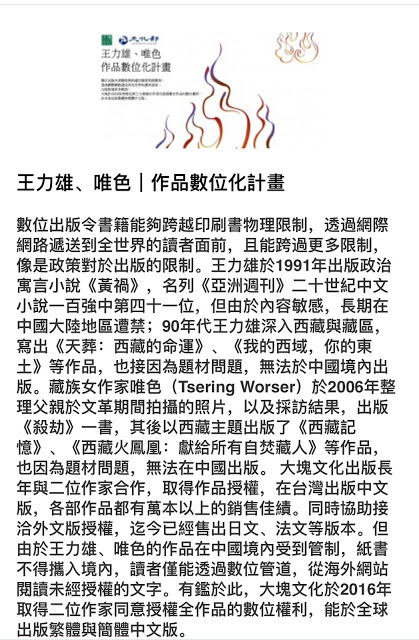 Beijing-based Tibetan writer Tsering Woeser said Karma Tsewang's lawyer has been told by Chamdo police that the case involves endangering state security, and she expressed concern that any conviction against the popular monk could spark unrest because Karma Tsewang is regarded by locals as their spiritual pillar. "If he should be convicted, it would be like the sky falling," she said. Tsering Woeser, who has contacts in Nangqian, said the monk had not been involved in any political activity. "All he has done is to protect the religion, ecology and culture," she said. 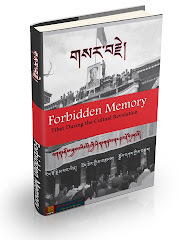 "But it is common for the authorities to convict Tibetans on the charge of endangering state security." She said supporters staged rallies in December, and again on Wednesday, to demand an explanation for why the monk was being detained. The local person, an ethnic Tibetan, said the crowd in Nangqian dissipated Wednesday after police said they would give a response in five days. Photos taken by him show the crowd gathered outside a structure with a rooftop watch platform protected with barbed wire. Calls to the police and the local government office in Nangqian rang unanswered Thursday. Pajin Ripoche, a monk at Japa Monastery, said he had no knowledge of the petition when reached by phone. Tibetans have long complained of religious and cultural suppression and a lack of autonomy as promised to them by China's central government. Since 2009, more than 100 people have set themselves on fire to protest China's rule over Tibetan areas. Beijing says it has made vast investments to boost the region's economy and improve the quality of life for Tibetans, although many of them say the economic policies there have mainly benefited ethnic Chinese migrants. 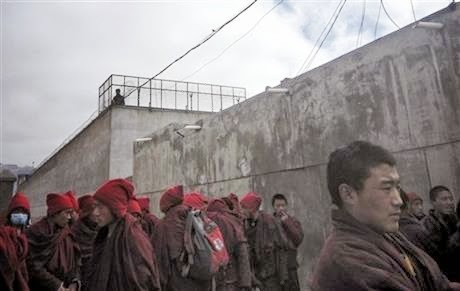 Last year, China prosecuted 20 cases involving national security in Tibet, according to the official English-language newspaper China Daily.